Hello, and hope this July day is finding you well and your summer is going great. 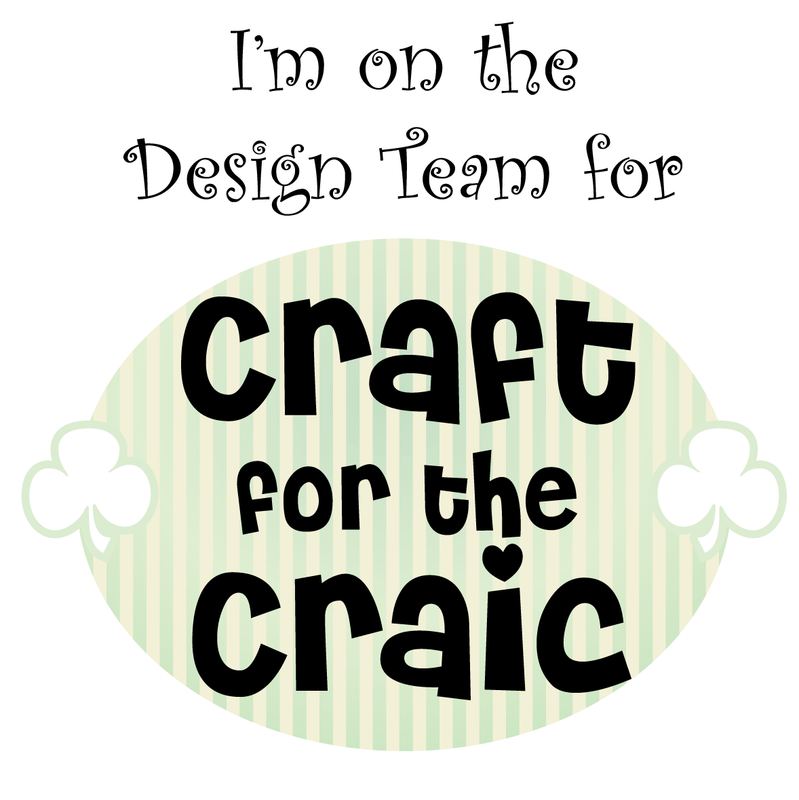 I have been quiet the last few months here on my blog, but busy crafting away in the background. 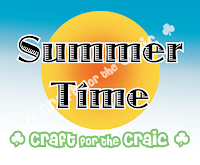 So much to craft, so little time! 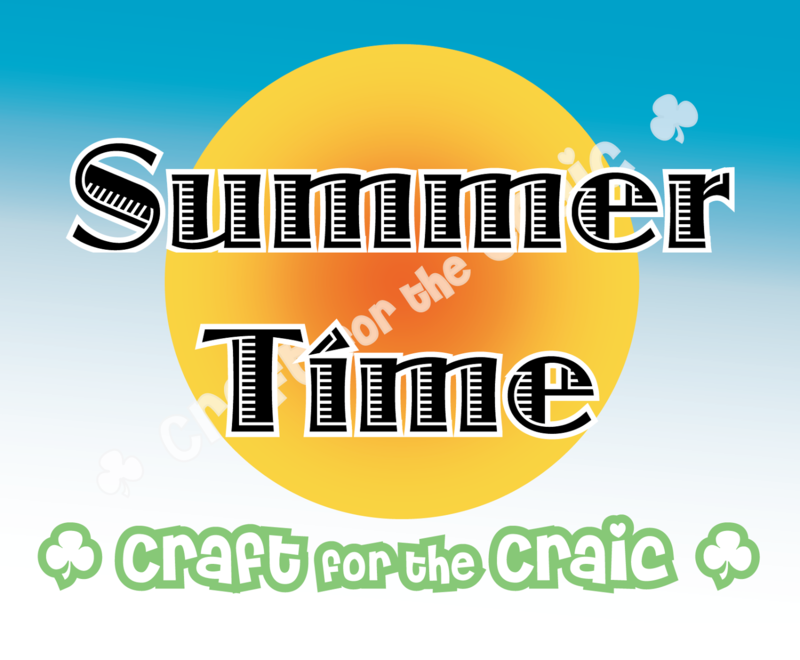 Here is a card I made for the July challenge over at Craft for the Craic. 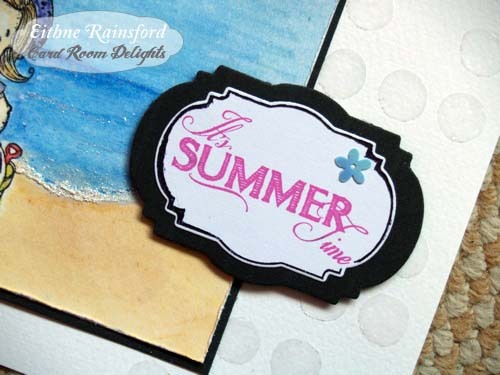 This month's challenge is Summer Time, how ever you decide to interpret it. So I stamped this Tilda girl, and decided to use my inktense pencils to colour her in on the watercolour paper. 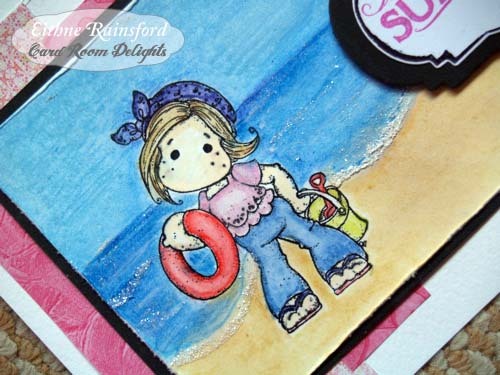 I then used some watercolours paints for the water and sand, and added in a bit of glitter and heat embossing for the sea foam. I used a broken scissors to roughen the edge, and layered it on black card. With a few scraps from my desk I layered up the lovely pinks in the background. I then stamped the sentiment, and die cut it out. I used a pen to outline the frame of the die cut. I really enjoyed making this card, along with the new techniques I used and learned from. If you are crafting why not join in the challenge? I hope to enter a few challenges with this card. So very cute and great coloring! Thanks so much for joining us at The Sisterhood’s ‘SUMMER HEAT’ challenge and please come back again soon! Adorable image and card. Thank you for sharing your summer themed card with us at The Sisterhood of Crafters. What a great card! Love that sweet image and your coloring is perfect! Thanks for joining us at The Sisterhood of Crafters! Super cute and beautiful water coloring..love the"sparkle" too!! Thank you for joining us at "The Sisterhood" for our "Summer Heat" challenge! This is so cute. Great background and the image is colored perfectly. Thanks for joining the Sisterhood's "Summer Heat" challenge. Beautifully done! Thanks for joining us at Midweek Magnolias. Adorable! 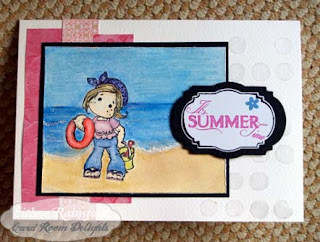 REally love your beach scene! Thanks so much for joining us at Kraftin' Kimmie Challenges.